There is an old saying ‘survival of the fittest’. But today we can say it as ‘performance of the fittest’. In this fast pace life with ample of competition, stress, ambitions, opportunities we need to perform at our 200% to achieve our dreams be it big or small. It is the fittest who can perform and survive the pressure. A body, mind and soul balance is what you need to get there and a good balanced nutrition plays a very major role preparing you for the best. The word nutrition seems to be “in” these days, but how many of us do actually remove seconds to even consider what our nutritional needs are? Did you know that if you did not consume enough water, you tend to bloat due to water retention or if you did not eat every 3-4 hours, your metabolism crashes down, affecting your performance in daily life? Surely, popping a pill seems to be easier than following a diet plan, but actually there is no magic pill or potion that can enhance your performance, the way right food & nutrition can do. The food that we eat on daily basis contains nutrients like carbohydrates, proteins, fats, variety of vitamins & minerals that transform you into a healthy being & that is called ‘Nutrition’. Just like your new car requires the best quality fuel to run smoothly & efficiently, your two legged vehicle (your own body) needs the right kind of nutrition for all the organs, muscles & joints to function optimally. It’s not about one nutrient that does the magic but a host of them that you get from a variety of foods like cereals, pulses, fruits & vegetables, milk & milk products, meat & eggs. But many active people do not eat healthy diet that helps them to perform their best. A bank helps you to save money so as to lead a independent life during your old age, similarly good nutrition acts a bank for you to age gracefully without being dependent on medicines for deadly diseases like cholesterol, diabetes, heart attack etc. There is enough room for good nutrition in our lifestyle as much as for wrong nutrition but unfortunately the wrong kind of nutrition receives more advertising dollars, fame & holds more appeal. 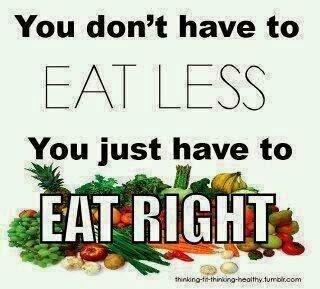 Just as we brush our teeth or bathe daily, proper eating pattern should also be inculcated as a habit. After all you are the outcome of your habits. Making the right food choices is very important, but even more important is to learn the art of eating the right food at the right time & in the right combinations to keep your brain & body fuelled throughout the day for maximising your performance. · Eat right when you wake up: This is the time when your muscles are absolutely depleted & hungry after a 10 hour fast. Eating well here helps you to revitalise your muscles & prevents excess calorie intake in the latter half of the day. A light breakfast like cereals & milk with honey & nuts could do the needful. · Eat right during mid meals: Mid meals are the most tempting time of the day to munch on fattening & non healthy stuff such as chips, biscuits, fried snacks etc. Instead pick up a piece of fruit, handful of soya nut or an oatmeal bar & see the difference for yourself. · Eat right pre workout: To sustain throughout the workout & to get the maximum out of it, it is mandatory to fuel your system with the right kind of food like fruits, nuts, eggs etc. · Eat right post workout: This is the time when your body has absolutely drained off energy & is ready to accept anything & everything to the maximum it can. Feeding your hungry muscles 30- 45 minutes post workout with fruits & proteins gives you the desired results. · Eat right at night: Most of the people skip their mails meals due to their busy scheduleor overwork & tend to gorge on heavy lavish dinner which is the main culprit of added on calories & feeling of sluggishness throughout the day. The trick is to keep the dinner the light such as soups, salads, lean meat, yoghurt etc. · Eat right when out: Parties & social gathering are no more occasions, but very much a part of our lifestyle today. What’s important is to resist the urge to splurge. It is wise to opt for salads, veggies, barbecued or roasted snacks rather than the fried stuff & royal creamy dishes, especially if u are on a calorie cut spree. Think before you drink this summer! !